You may have heard about a neighbor, or a distant relative, or a friend of a friend who leased his or her land to an oil and gas company and who is now living the cushy life without having to work. If an oil and gas company approaches you regarding leasing your land, you may be tempted to accept whatever offer it throws your way without giving two thoughts to the terms of the contract. This could be a huge mistake. Oil and gas lease contracts often come with numerous stipulations and consequences. If you misinterpret a provision, or if you fail to read and comprehend the entirety of the contract, you may unwittingly forfeit your rights to more compensation or worse, to your own land. If you were approached by an oil and gas company seeking the rights to your land for a specified period of time and for extraction purposes, contact Cloud Willis & Ellis. Our Birmingham real estate lawyers can help you review the contract and, if necessary, negotiate for better terms. In most cases, oil and gas drilling contracts are valid for anywhere between 10 and 30 years. Of course, the term of the contract will vary based on a variety of factors, but the fact remains that drilling for any extended period of time can have a substantial negative impact on your land, both above and underground. Above ground damage will be much more obvious than below ground damage, as it is usually visually noticeable. 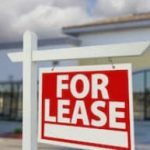 High levels of noise, excessive vehicle traffic, unsightly equipment, dust, and volatile compounds in the air are all par for the course when you agree to lease your land to an oil and gas company. Though underground damage is less noticeable, it can be much more significant and costly. For instance, if you live in a rural area and rely on well water for home use and drinking, oil drilling can potentially pollute your main water source. If the water becomes polluted by chemicals typically used for fracking, such as methanol and hydrogen peroxide, you may never be able to use it again. It is not uncommon for properties with one valuable mineral to have several valuable minerals. The oil and gas companies know this, and they count on property owners to NOT know this, which they often do not. If you sign a lease for X amount of resources and the oil and gas company discovers significantly more resources, those resources as theirs for the taking, as they technically have rights to the land. 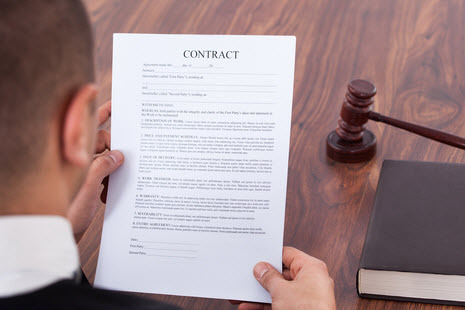 To make sure that you receive a fair price for your oil and gas lease, it is essential that you work with an attorney who understands mineral values and who has a keen eye for hidden or ambiguous terms in contracts. Without the help of an experienced lawyer, you risk giving up millions in leasing rights. 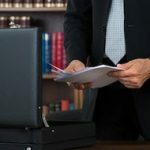 Though you should certainly cover all your bases and consult with a real estate lawyer prior to finalizing any documents, know that there are consequences to delaying. Because oil and gas are liquids, the oil and gas company can potentially leech the minerals from your property by drilling from a neighboring property. If this happens, you risk losing all the valuable resources beneath your property without gaining any advantages. Additionally, if your negotiations end up in a contract that is unprofitable for the oil company, they may back out. If you were approached by an oil and gas company about extracting oil or gas from your land, contact Cloud Willis & Ellis today. Our Alabama real estate and contract attorneys can help you review the contract, possibly negotiate better terms, and ensure that the deal is profitable for both you and the oil company.